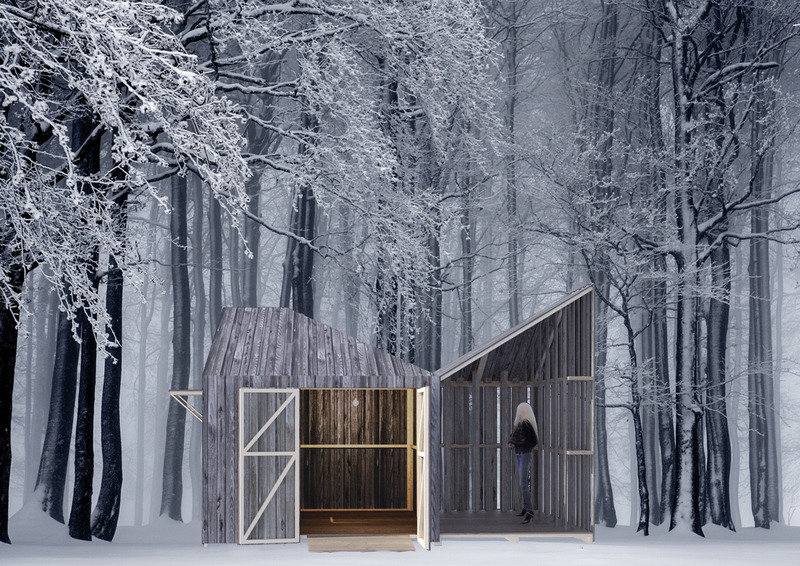 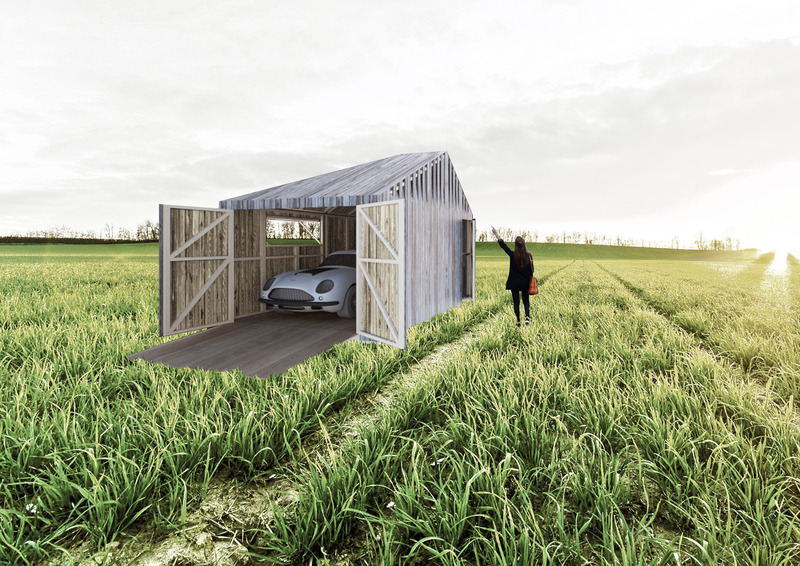 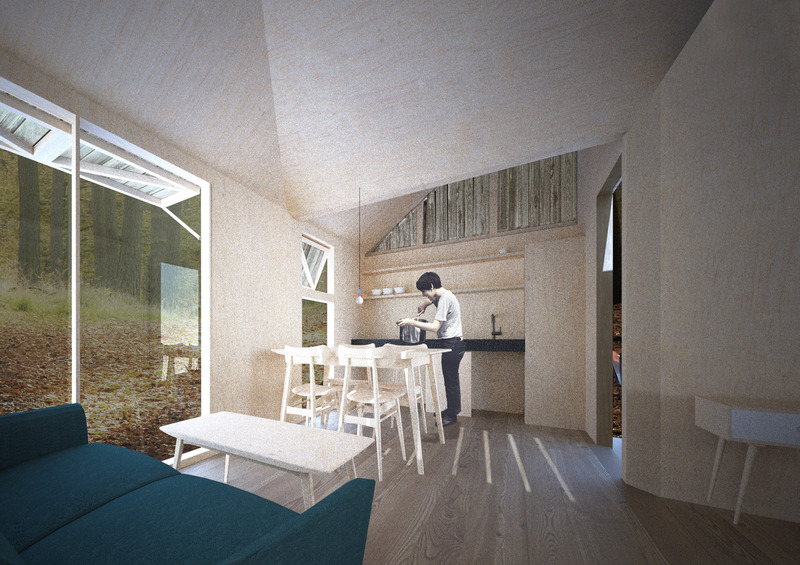 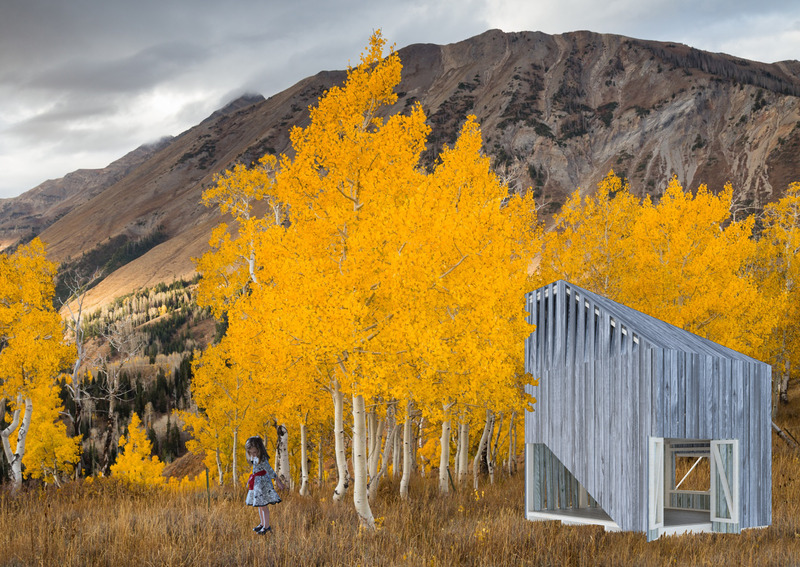 The competition brief asked for new designs using a prefabrication system able to produce from a play house or storage unit to a weekend home. 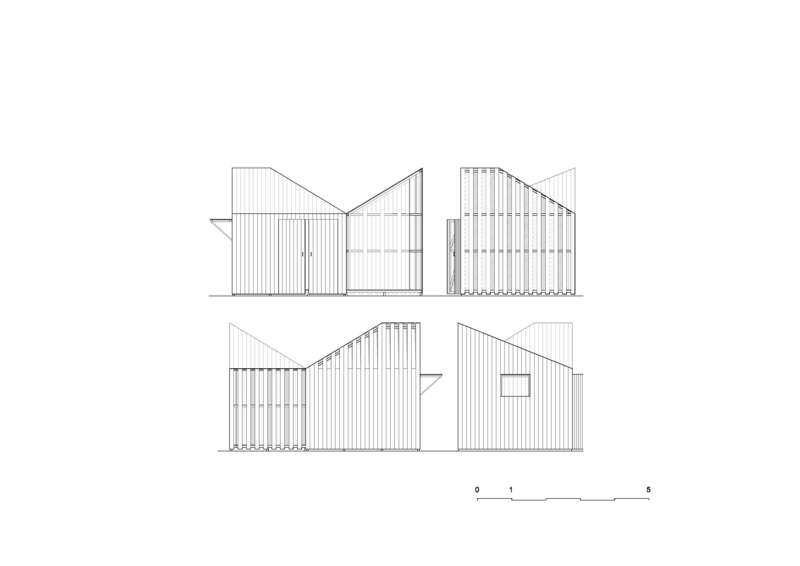 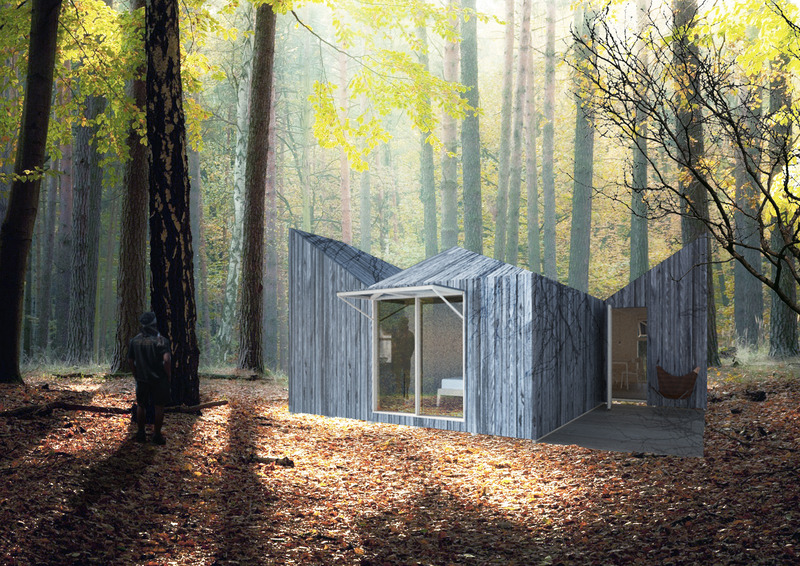 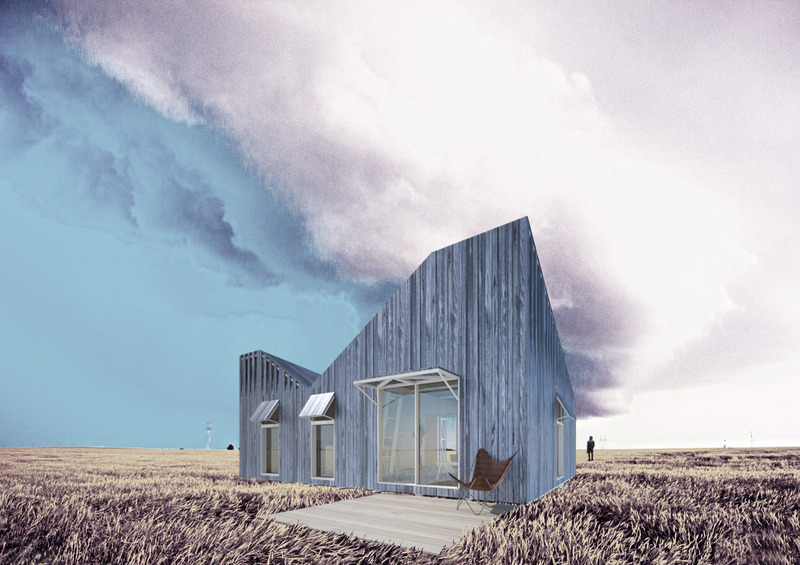 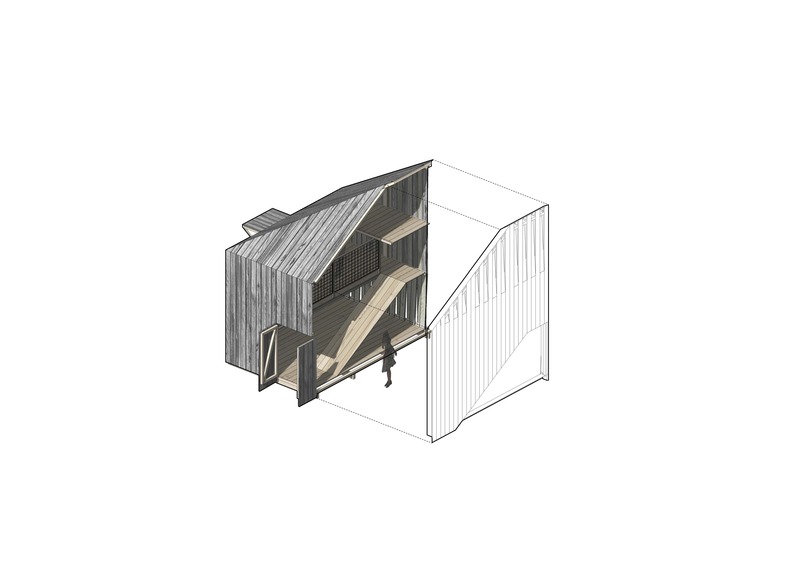 The proposal presents a family of prefabricated elements, all created from the combination of three different modules, containing the same geometry. 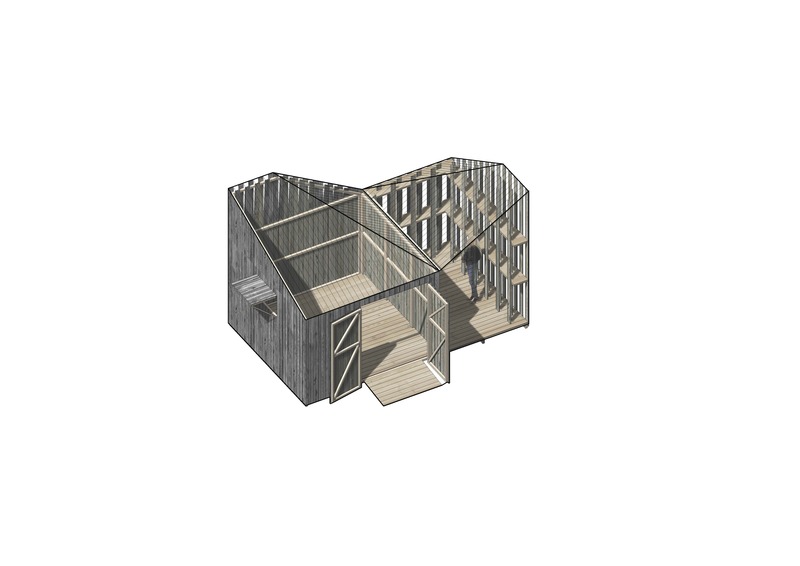 Based on the existing “sectional wall construction style” the system is modified with a new roof solution. 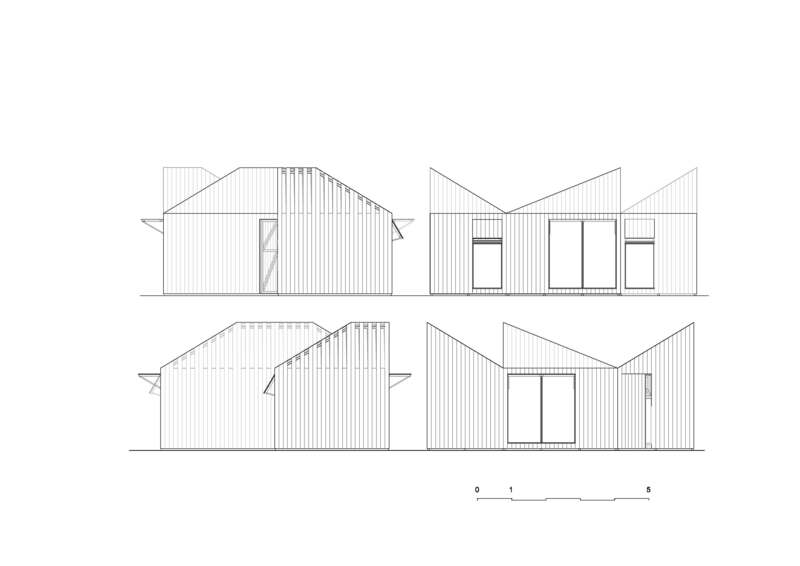 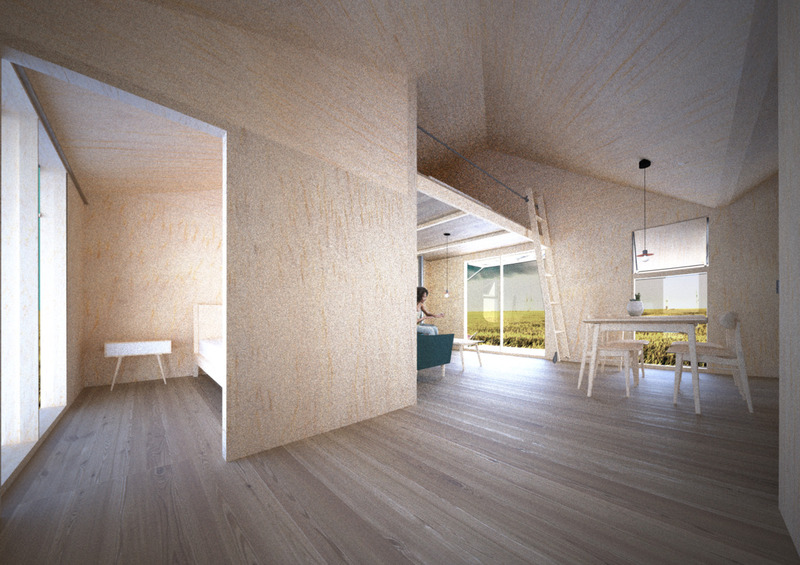 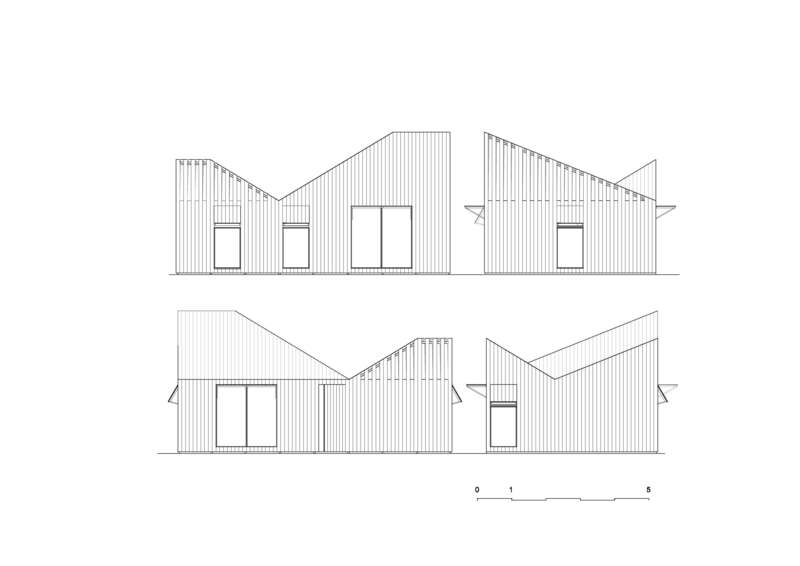 Wall and roof panels are now merged and combined to create a much more flexible geometry. 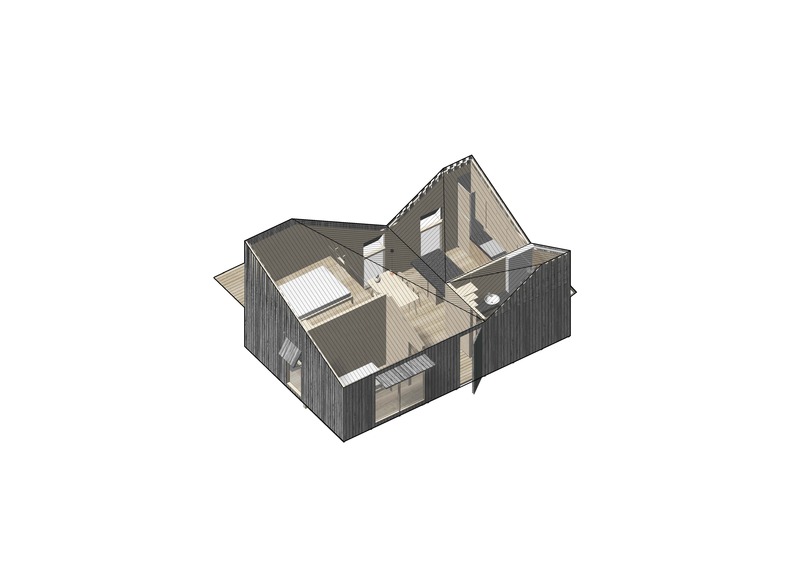 The roof elements are based in the same panelling system as the walls, with a waterproofing and rain harvesting solution to ensure a correct performance. 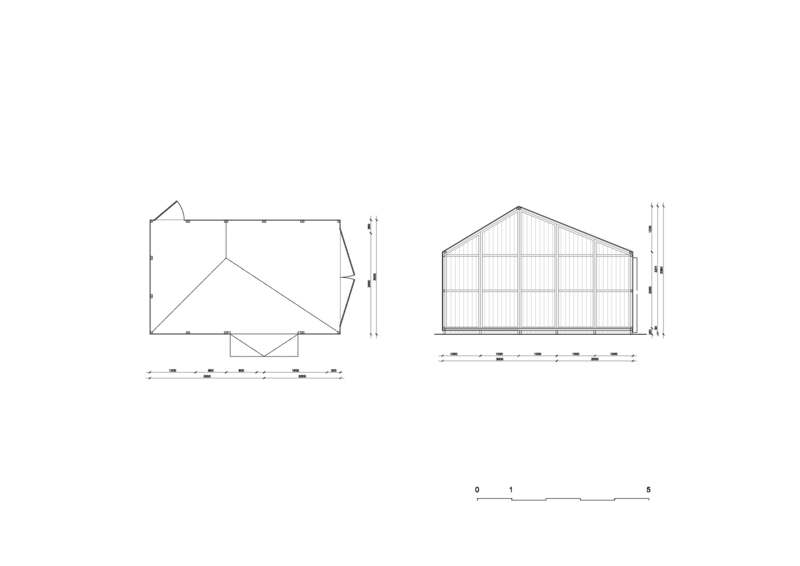 This geometry is replicated in three modules, each of them with different dimensions but same proportions and roof angles. 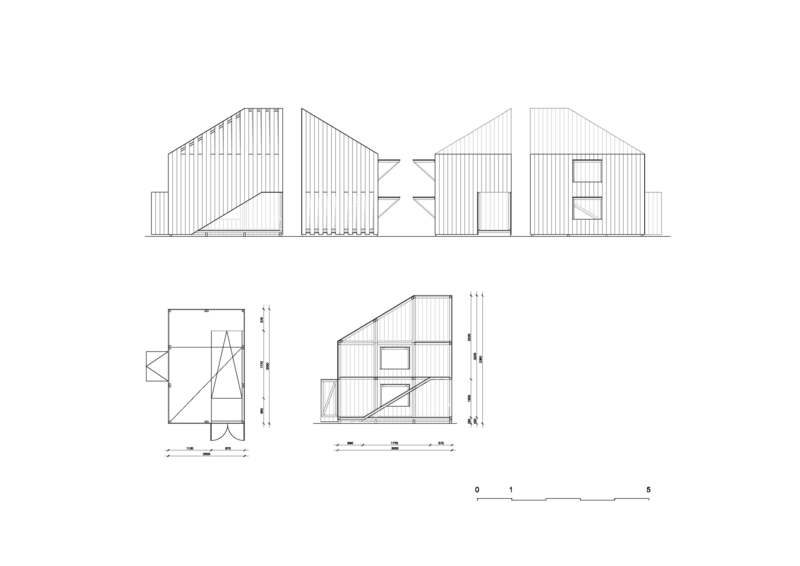 The addition and combination of these basic pieces provides a range of volumetric solutions varying in size and spatial qualities. 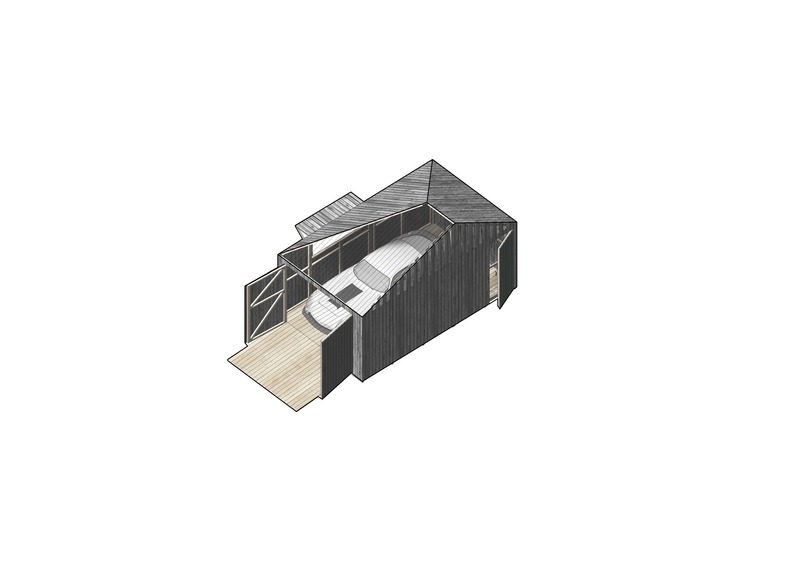 The general dimensions of the base panels and their roof slope are chosen to provide an adequate range of sizes and volumes so the system can provide an alternative for each family unit, from a 6 sqm playhouse to a 30 sqm cabin or 60 sqm weekend house, always using the same panelling. 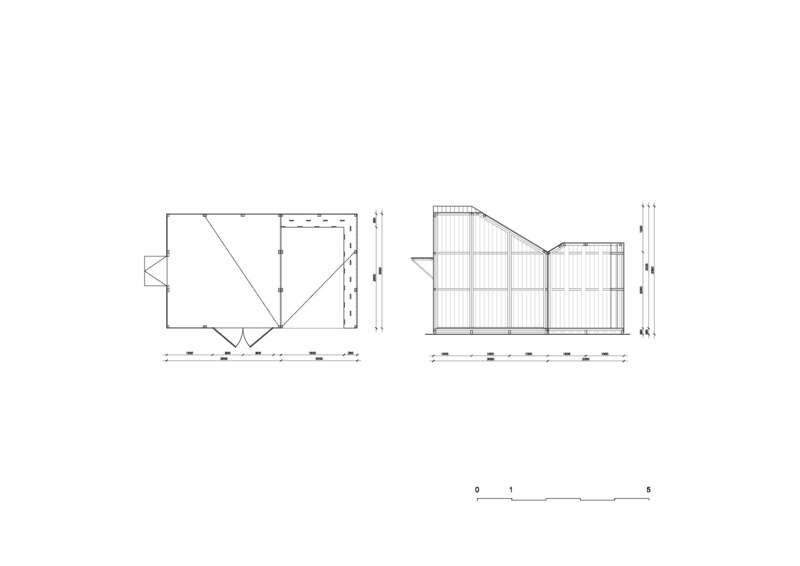 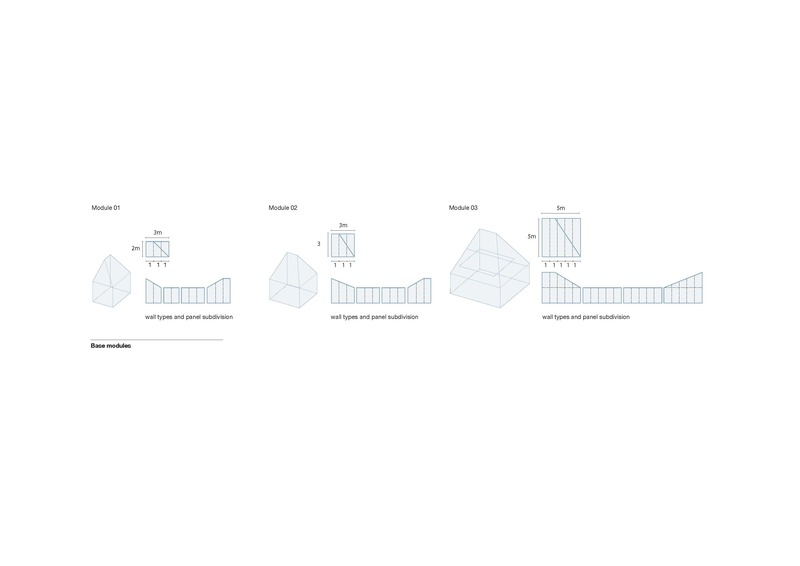 This flexibility is not only proposed in plan but also in section, with the possibility to generate standard height rooms but also double heights or intermediate spaces such mezzanines, depending on the addition of modules and their correlative position. 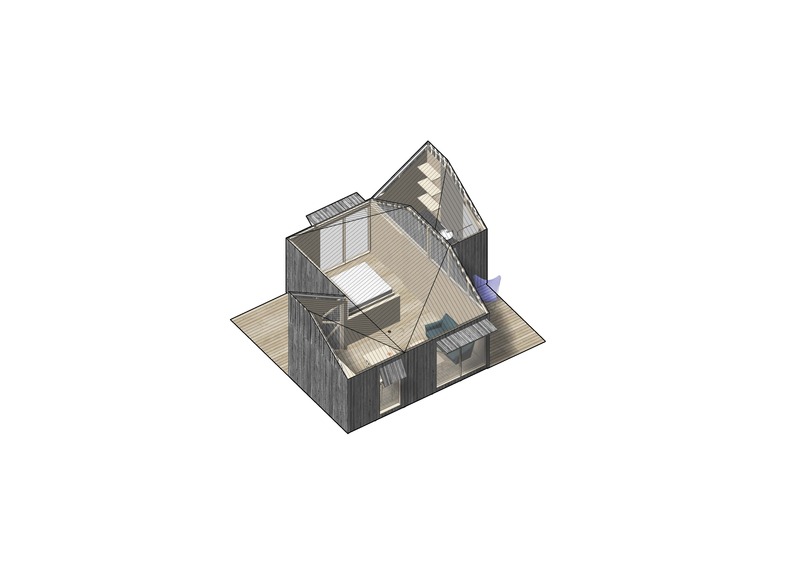 At the same time, the shape of the modules, with a roof tilted in one direction gives the possibility to create many different spatial situations, by mirroring or rotating the modules. 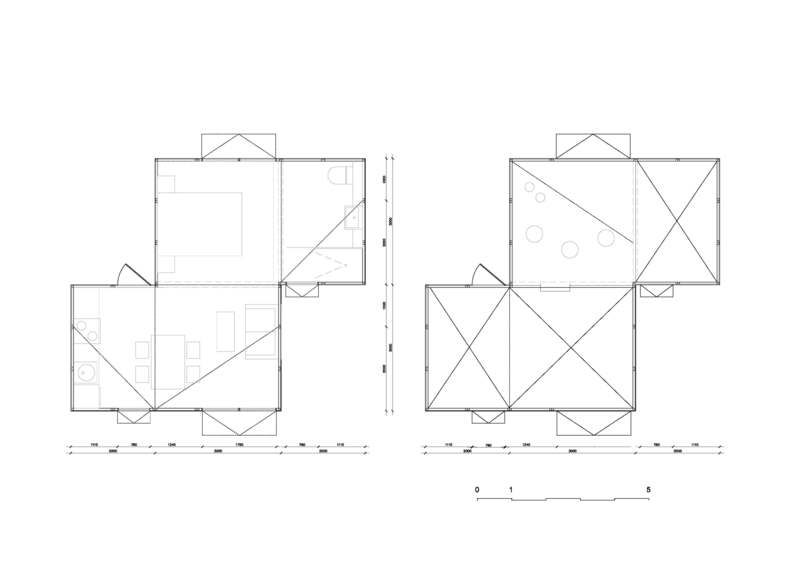 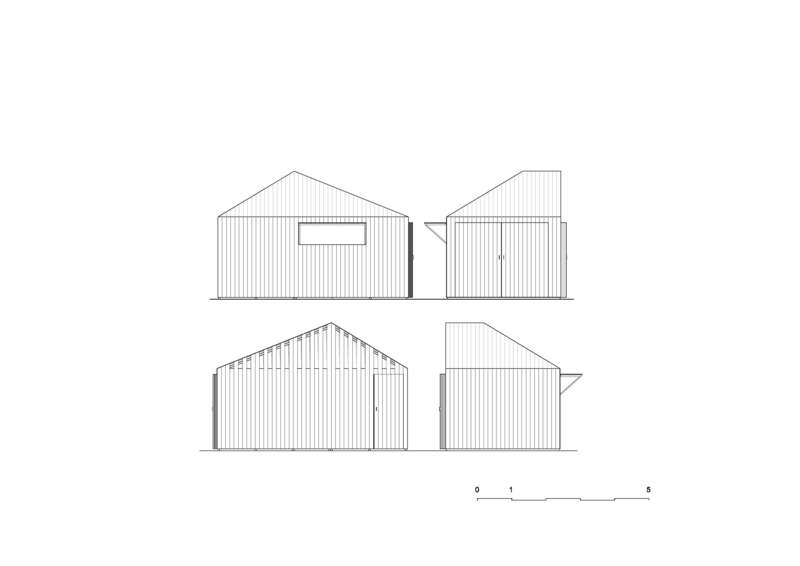 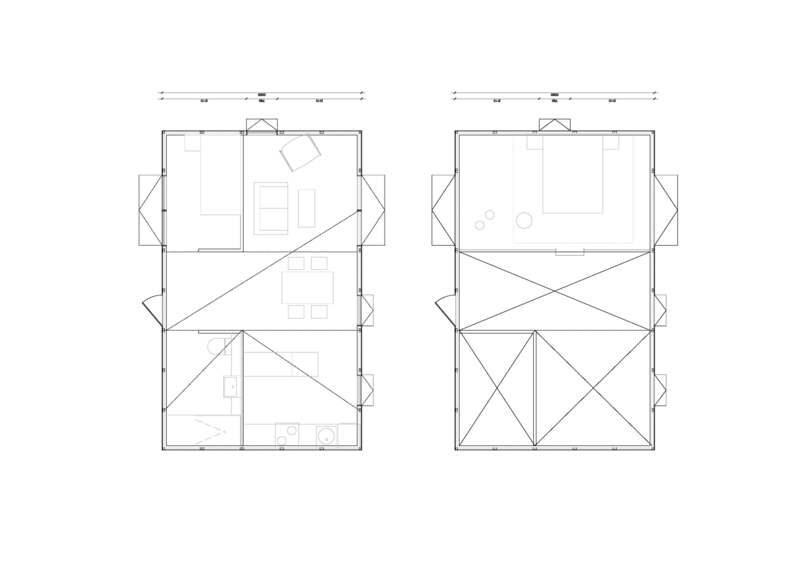 As explained in the diagrams below, the same two elements combined can generate a typical pitch roof space or two different spaces in the same room, without the need of an internal partition. 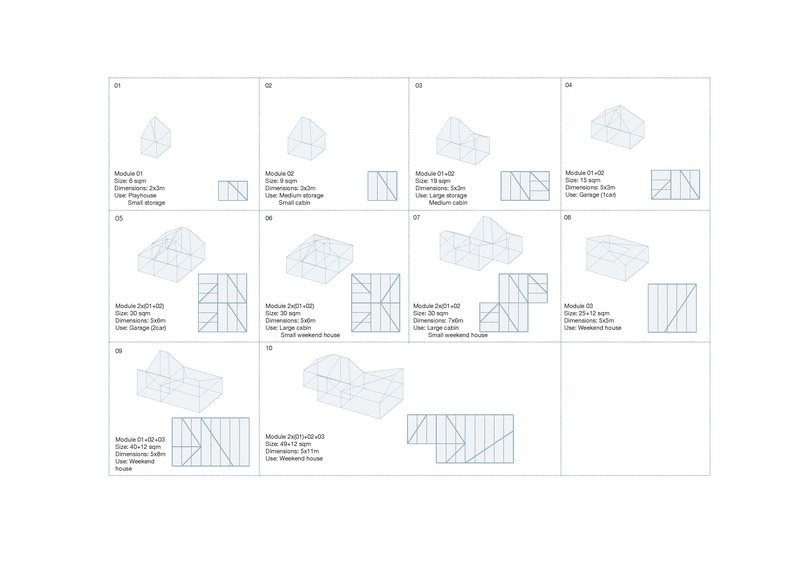 This repetition of the same geometry along the system eases the generation of plenty of architectural opportunities with a limited amount of panels.